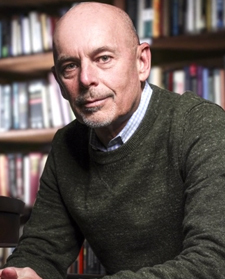 Byron Johnson is Distinguished Professor of the Social Sciences at Baylor University. He is the founding director of the Baylor Institute for Studies of Religion (ISR). He is a Faculty Scholar in the Center for Spirituality, Theology, and Health at Duke University, Senior Advisor in the Religious Freedom Research Project at Georgetown University, Senior Fellow with the Witherspoon Institute (Princeton), Senior Fellow at the Sagamore Institute (Indianapolis), and is a Senior Advisor at the Religious Freedom Institute (Washington, DC). Before joining the faculty at Baylor University, Johnson directed research centers at Vanderbilt University and the University of Pennsylvania. Professor Johnson is a former member of the Coordinating Council for Juvenile Justice and Delinquency Prevention (Presidential Appointment). Johnson has recently published a number of articles on the role of faith and service in helping addicts remain sober. He is recognized as a leading authority on the scientific study of religion, the efficacy of faith-based organizations, and criminal justice. Recent publications have examined the impact of faith-based programs on offender treatment, recidivism reduction and prisoner reentry and is the subject of his book, More God, Less Crime (2011). Johnson also directs the Program on Prosocial Behavior, which examines the ways in which religion impacts key behaviors like volunteerism, generosity, and purpose. His most recent book, The Angola Prison Seminary (2016), assesses the influence of a Bible College and inmate-led congregations in the identity transformation of inmates serving life in a maximum security prison. His new book The Quest for Purpose, was released in 2017. He is working with the Gallup Organization to design empirical studies exploring religion and spirituality in the world. Johnson was the 2013 Lone Star Big Brother of the year for Big Brothers Big Sisters of Texas.